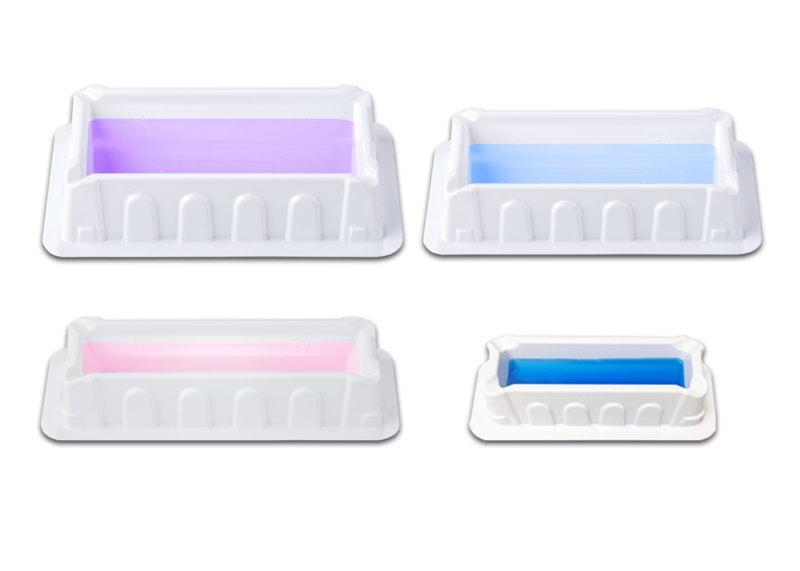 Each of our wonderful lab equipment and supplies partners have worked with us to provide special deals for our customers. Deals can include generous discounts off our already low prices, buy X get Y deals and free accessories. So that you never miss the opportunity to be the first to know about our specials, please sign up for our weekly email messages. 1. 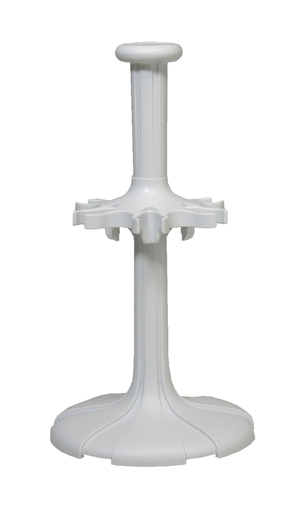 Buy any three sizes of our Stellar Sci Propette variable volume pipettes and get a third for free. Plus get a free carousel to store your pipettes! 2. 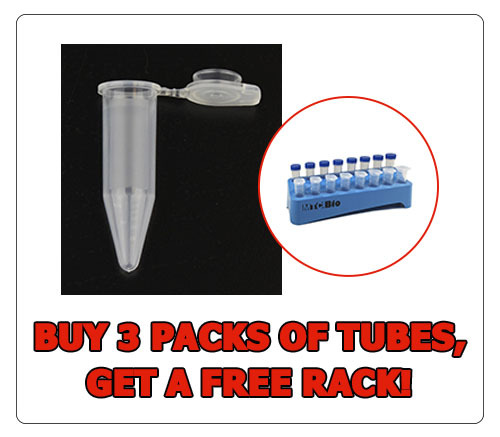 Or, buy any three of our Stellar Scientific Propette Multi-channel Pipettes and get a 4th for free! 3. 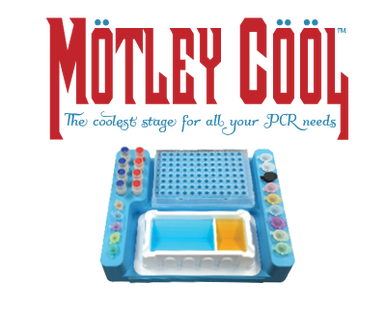 Buy any three cases of our reagent reservoirs at regular website price (three of a kind or mix and match) and receive this amazing Motley Cool Benchtop tube chiller for free! 4. 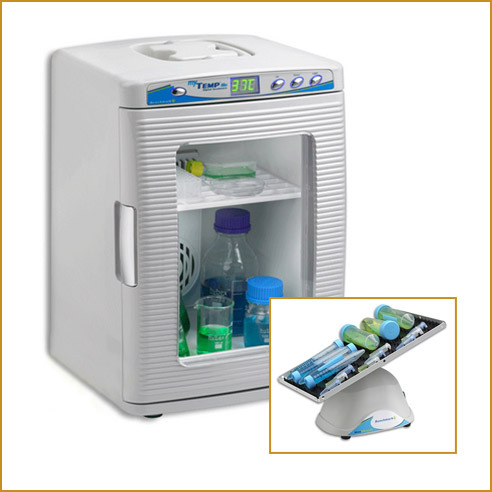 Buy the Benchmark Scientific H2200-HC MyTemp Mini Incubator with Heating and Cooling function and receive the H3D1020 orbital shaker with 8x6 inch platform for FREE. 5. 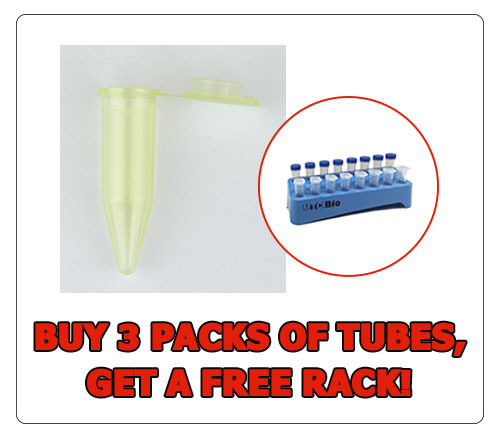 Buy 3 packs (any color) of our 5mL Flip-top Centrifuge Tubes and receive one of our new 16-place workstation tube rack for FREE.